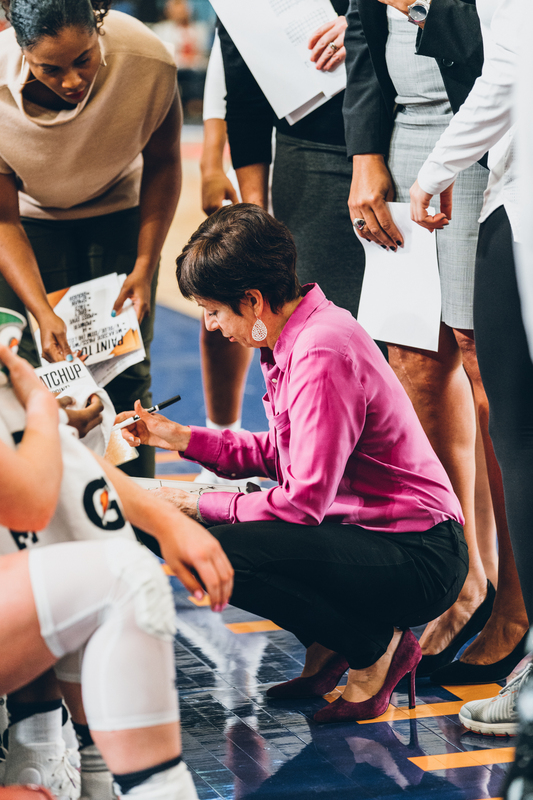 Defending champs never looked for the lady Bulldogs to pull off a upset Friday night in the TCL Vancouver Showcase semifinals. 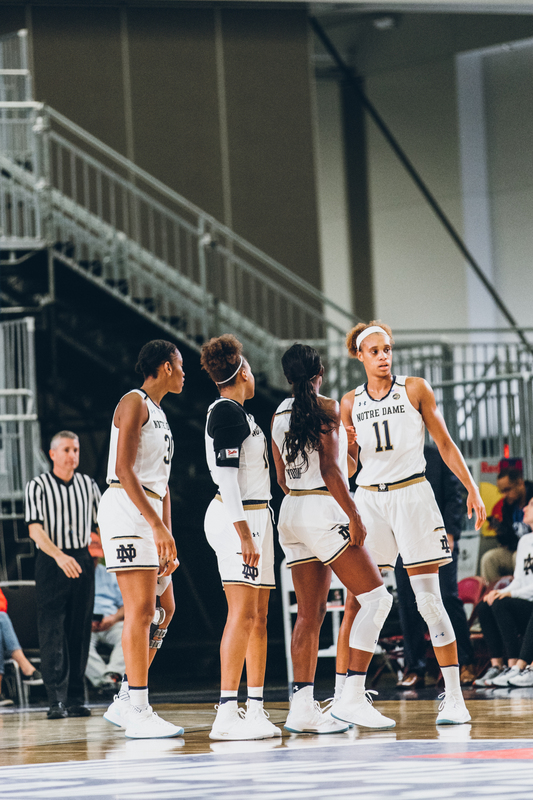 After ending the first quarter 17-17 the Defending National Champions led 54-30 throughout the next two quarters, giving themselves a 24 point cushion to start the fourth. 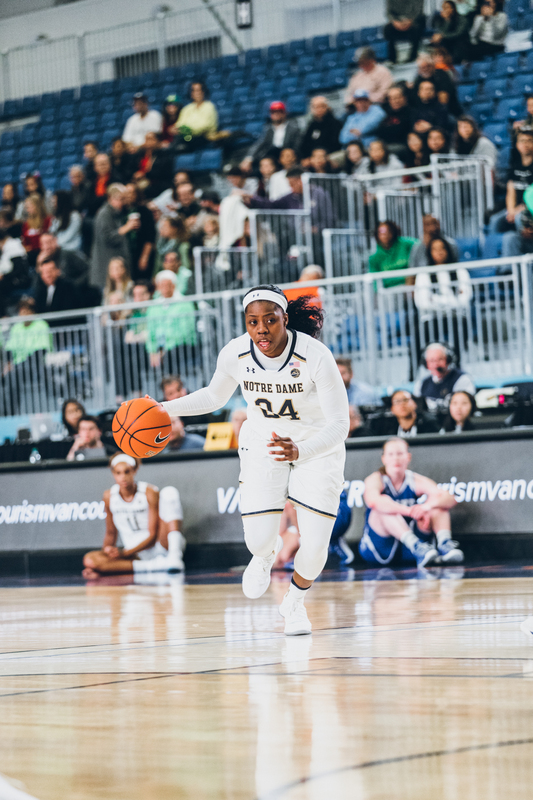 Arike Ogunbowale(Final Four Most Outstanding Player) who had a slow start the night before, came out huge for the Fighting Irish scoring 30 points with 8 rebounds and running mate Jackie Young poured in 25 and 5 assist. 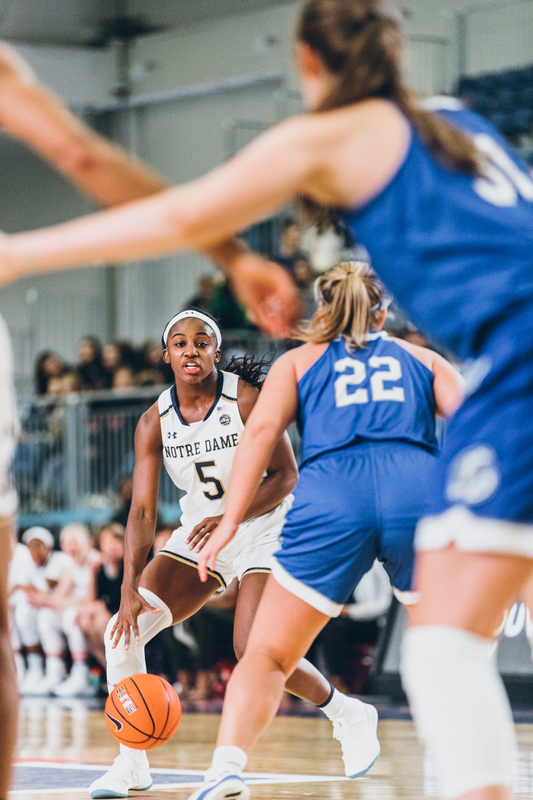 The lady Bulldogs of Drake played really well outscoring Notre Dame’s bench 29 to 4 but in the end it would be the Fighting Irish 18 points scored off Drake’s 18 turnovers that ultimately diminished their chances of making a return.